It's that time of the year, again! The tech world is waiting with bated breath at what Apple will unveil at its campus in Cupertino, California. The annual iPhone event, typically held in the second week of September, has become a red letter day in the tech world's calendar and Wednesday will not be any different. Not surprisingly, speculations, 'leaks' and rumours are flying on what the new batch of three iPhones will be like. Blogs and numerous 'Mac' websites have claimed the new iPhone will be branded the iPhone 'XS' and would have a 'plus' variant (referred to variably as the XS Plus and XS Max) that will sport a massive 6.5-inch OLED screen, significantly larger than the 5.8-inch screen of the iPhone X, which had been Apple's largest smartphone till date. It appears Apple has accepted the need to compete with the 'big is beautiful' philosophy of Chinese phone makers like Huawei and OnePlus in addition to its 'traditional niche' rivals like Google and Samsung. Huawei surpassed Apple as the second-largest seller of smartphones in the April-June quarter, according to data from Gartner. Interestingly, China Mobile and China Telecom caused a buzz in social media when the two companies promoted teasers that seemed to hint the new iPhone would come with dual SIM slots, a capability that had been a no-go area for Apple previously. iPhone users and travellers in Europe and Asia had been urging Apple to consider dual SIM capability in recent years. 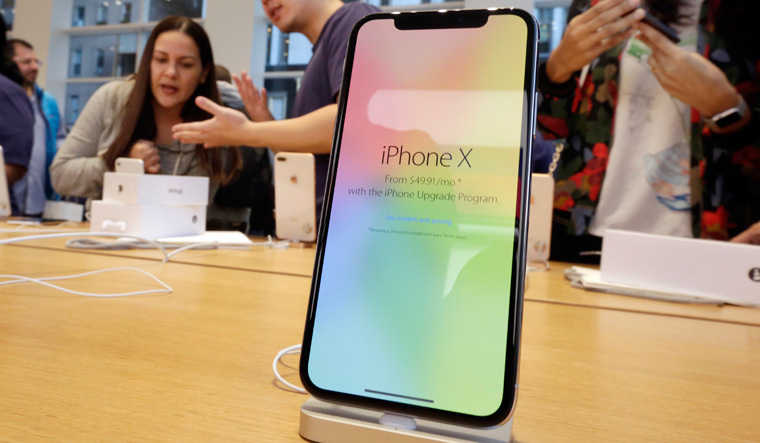 While the iPhone X proved profitable for Apple, it did not set the market on fire, given its price tag of approximately $1,000. The new iPhone XS may be priced more aggressively around $800, analysts have claimed. In addition to the iPhone XS and XS Plus variants, a 'cheaper' model, made of lower-cost materials, could also be launched. This lower-cost variant has been called the iPhone XC by bloggers. Apple may also launch a new Apple Watch and iPad variants. The new iPhone XS may be released for commercial purchase by the last week of September. The Apple event is expected to start by 10.30pm (India time) and will be live-streamed on Twitter, another first for the company, which has usually preferred to stream its events on its own website.